Talk facts and the audience may nod. Tell a story and they'll stand and cheer. In a Republican debate, Senator Marco Rubio had emerged as a great orator and touted his third place standing as a win. There was a lot of buzz about Rubio and he was riding high despite being number three. So it was no surprise that he walked into the next debate confident and expecting more of the same. And then it happened. Governor Chris Christie hammered him. Christie came down hard on Rubio for reciting his message point for a third time and accused him of being scripted. It didn't go well for Rubio and Christie won that round. How can the skill of staying focused and on message be to the detriment of a public speaker? As a speaking strategist and media trainer, I advise my clients to know their message and to stay on message. This is especially important in a media interview. A skilled media guest will lead with key messages and weave them throughout the interview. The red flag is when the presenter doesn't answer the question and defaults to a message that doesn't follow the line of questioning. What should Rubio have done? Answer the question to the best of his ability without repeating the same message point again. Most of us won't be running for office or even presenting in a formal debate. But we will need to persuade, convince, and inform our stakeholders. I advise audiences and clients to familiarize, don't memorize. When a public speaker repeats the same points too close together and uses the exact same words, that's when authenticity is lost. That sounds scripted. The first mistake is reading a manuscript word-for-word. It takes a special skill and much practice to deliver the words so it doesn't sound like you're reading text. Some scientific lecturers stand and read their research. I told them, "I can read as well as you." Why would anybody want to listen to the reading of a research paper? The second mistake is memorizing word-for-word. Even though the presenter is not reading, it's obvious the message is not natural. 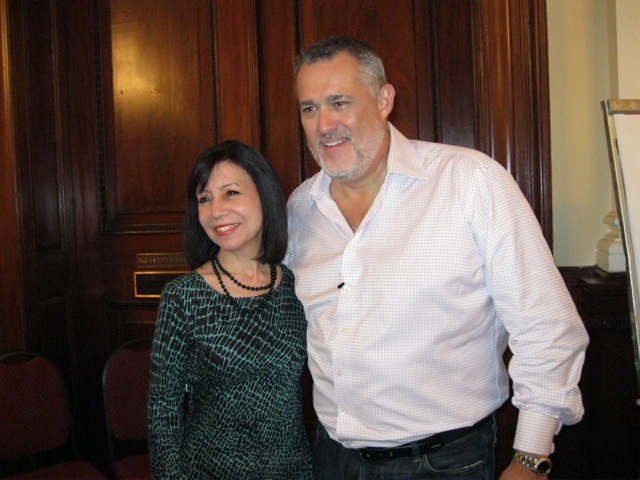 When I first started out in the speaking business, I worked for a seminar company. At the end of every seminar my manager and I would read the reviews. To my surprise, someone wrote, "Diane, though, helpful, sounded canned." Yikes! Put a stake in my heart. But I realized that I had memorized the script they gave me and I sounded like a talking head. With practice, I learned how to sound conversational and make the content natural. Audiences are more sophisticated than ever. They want to hear a subject matter expert and not a presenter giving a book report. They want to know you're authentic. You achieve that by preparing your message, practicing your message, and listening for when to divert from the message. It's in listening that we become truly authentic. 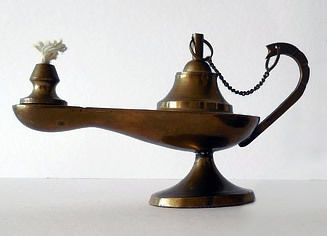 Did you ever wonder if there was an Aladdin's Lamp for public speaking? All you would need to do is ask the Genie for the magic words to eliminate fear of public speaking or performance anxiety. Just like the eternal search for the fountain of youth, people still yearn for that elixir, potion, or formula that will make their nervousness vanish. What I've discovered is that the words you speak have the power to transform how you think. It's not what you say but how you think about your fear. A number of years ago I spoke to a group of company leaders. They, like everyone else, were nervous about public speaking. At one point I looked them straight in the eye and made a statement. After the training seminar, people told me that those words were very powerful and changed how they thought about public speaking. Fast forward to a coaching client who was afraid to speak up in her class. She even thought about dropping out of law school because she was so nervous about public speaking. I told her the same thing I told every public speaker. And then it happened. She started to think differently after I shared those famous words with her. She graduated from law school and went on to give presentations without fear. Most recently, a former client called me for a refresher. She told me her manager noticed a big improvement in her presentation and the way she interacted with clients. He offered her the refresher coaching session to prepare for their upcoming high stakes presentation. 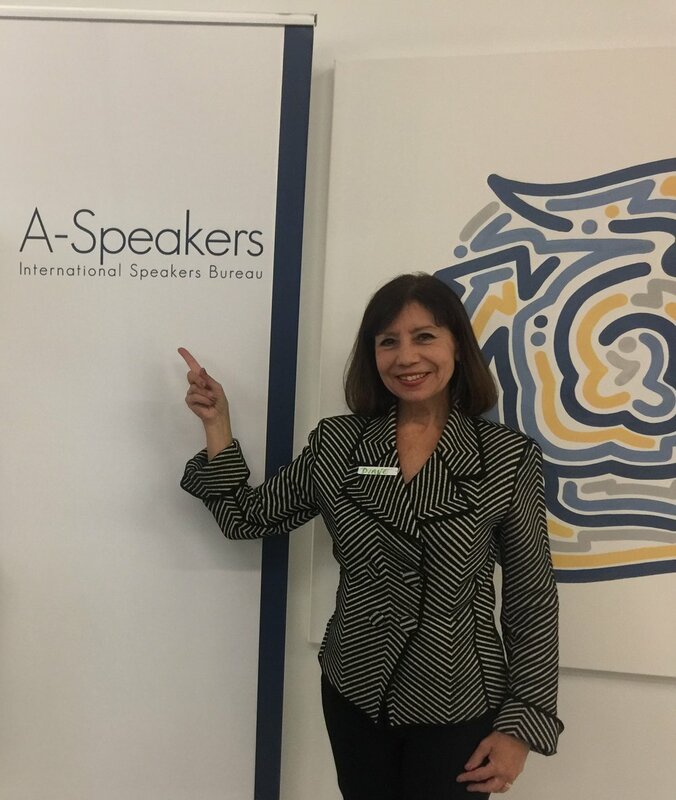 During the meeting, my client shared with me that the words I said to her truly changed how she thought about presentations and public speaking. Are the words really magical? No! The words themselves contain nothing magical. What the words did was reframe the way people were thinking about their fear. They were viewing public speaking through a negative frame and that triggered anxiety. Even though I'm a seasoned professional speaker, I found myself getting nervous the day before a presentation. It was a 10 minute spotlight for the National Speakers Association. I confided to my friend that I was a nervous wreck. I couldn't wait for it to be over. My friend grabbed me by the shoulders and said, "Diane, don't do that to yourself. You're not nervous. You're energized." So I went home and recited my new mantra: "I'm energized. I'm energized." The next morning I gave my speech and it was a success. Words do make a difference. The 3 magic words have made an impact on so many people. I think it is time I share them with you. So what are the 3 Magic Words that help people face their fear? When I speak to audiences of nervous presenters, I tell them, "Get over yourself. It's not about you. It's about them." What they've come to realize is that at the very core of public speaking nervousness is a feeling of being self-centered. That's right. If you focus on the fear, you're thinking about yourself. If you think about what the audience wants and needs, you're coming from a place of service. Language reflects thought. Change your language and you'll change your thinking. The next time anxiety occupies your mind, change your focus. Tell yourself, "It's about them." What have you said to yourself to change your thinking? Does your audience tune out? Do you have trouble keeping them engaged? It's challenging enough to get the attention of one listener. It's even harder to command a large audience. With less time to do more, competing priorities and so much incoming data, most audiences are on sensory overload. It's no wonder people are on their smart phones instead of listening to you. How can you grab attention in an A.D.D. world? Here are 3 simple tips to get any audience to listen to you: Provoke, Evoke, Poke. Provoke. Are you delivering the same old same old? A professional speaker shared a recent experience he had with his audience. During the beginning of his presentation he looked out on a group actively engaged with their phones. A few minutes later he noticed heads starting to bob up. Then they put their phones down and started to listen. Apparently he had said something that got their attention. Step one is to provoke the audience by delivering new information, controversial content or something that is thought provoking. It doesn't have to be cutting edge but it should be something that makes them think. How can you say something in a new way? How can you connect the dots in a way that they haven't heard before? Evoke. Beyond thought provoking content, strive to evoke an emotional response. The best way to trigger an emotional experience is through stories and humor. Help the audience experience a feeling as you take them through a journey of highs and lows. When information is anchored to an emotion, the message sticks. Think of a moment of crisis. Most people can remember where they were during the 911 attack in New York City. What will evoke an emotion in your audience? Try showing a motivational video clip or a funny cartoon. I remember watching a video of a woman who was confined to a wheel chair who took took her first skydive jump strapped to the instructor. There wasn't a dry eye in the house. Whenever there is strong emotion, the audience will be engaged. Poke. Another way to get your audience to listen is to poke them physically. Get them out of their heads and into their bodies. Invite them to enter the world of activity. Most audience members expect to sit back and be lectured. Don't spoon feed them. Make them part of the presentation. It can be as simple as asking them to repeat a refrain. Repetition is powerful. Ask them to stand and turn toward their partner. Let them participate in a poll. One speaker would sporadically flash a slide of a fish. Whenever they saw the fish, the group was expected to do a clapping rhythm the speaker taught them. Their eyes were glued to the screen as they eagerly anticipated the flashing fish. And if getting them away from their phones is like taking away Linus' blanket, follow this old adage: If you can't beat 'em, join 'em. I project hashtags for my presentations, along with my twitter handle and ask them to tweet. It causes the audience to listen and you also get social media klout. The most important question is: Are you listening to the audience? March is Listening Awareness month. Remember to listen.